Disaster entraps sinners, but God-loyal people get a good life. Last night I went to dinner with my good friend, Lauren. As I sat down a friend from the gym walked in, so I asked him to join us. While we were eating Lauren and I decided that we were going to fast the next day. We made small talk about why we were going to fast and talked about how we would hold each other accountable throughout the day. After our conversation our friend from the gym mentioned something along the lines of - Wow, I wish I had friends like that, friends who would support me. I didn't think much about what he said until later. Today, I am so thankful. I am so thankful that the Lord brought Godly friends into my life. I am thankful that I have people I can rely on, people I can go to for advice that I know will be based on the Word of God. I am thankful because I know I can trust them. Who is it that you spend your time with? Are they people that build you up? People that you can pray with? People you can go to for Godly advice? It is so important to have a strong support system- after all, you are who you hang out with! 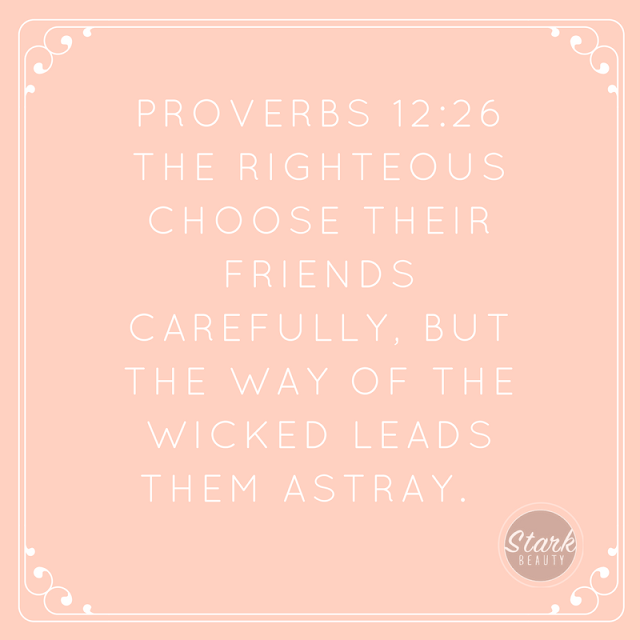 If you don't have those kinds of friends now, trust God that He has them lined up for you! Follow where He leads you and you will see that all your desires will be met- including GREAT friends!